Each day in Mumbai, we wake up to smog in the air and the newspaper's latest report of declining air quality. When we set out for work, we pass by piles of burning leaves, billowing smoke into our lungs. The smell tells us that plastic and garbage is mixed in with the leaves, further decreasing the quality of our air. We long for the clean air of the green countryside. But we live in the city and the fresh oxygen of the hills remains a distant dream. Leaf burning is also a contributor to pollution in Mumbai. And it is understandable why the problem persists: the folks burning leaves in our city either don't know its harmful effects or don’t have any alternative options. But this desperately needs to change - Our health and that of our environment depends on it. The solution is in our hands. 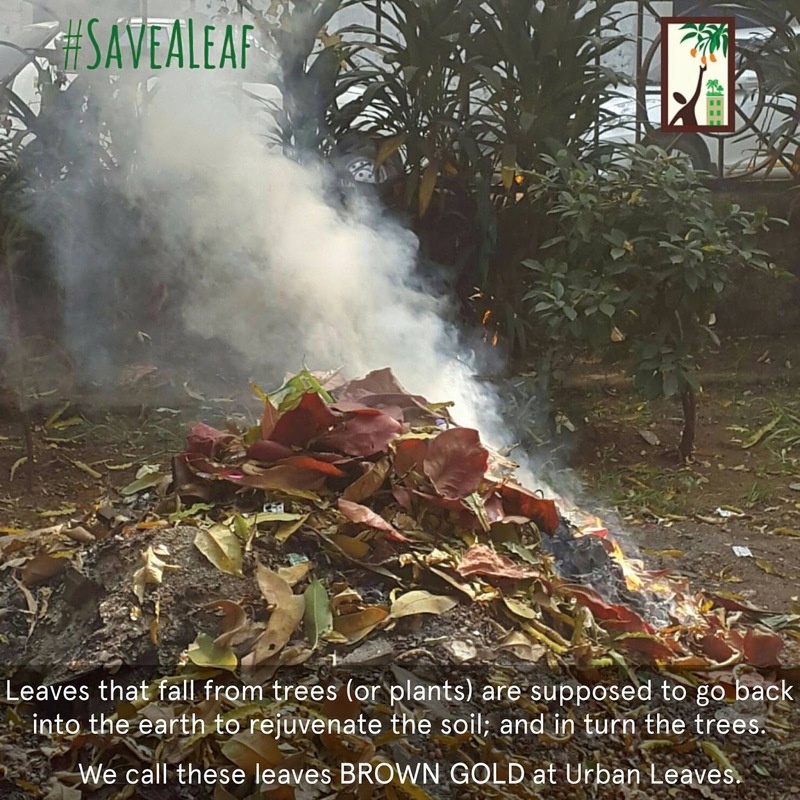 Urban Leaves is launching the #SaveALeaf campaign. In the coming weeks, we will be posting information about how each one of us can get involved in resolving this issue in Mumbai. Like our page, share with your friends, and together we can start to clean up Mumbai’s air!